"Once a new technology rolls over you, if you're not part of the steamroller, you're part of the road" - by Stewart Brand. In this article, I will discuss 3 technologies that have the potential to be game changers in the learning industry. The first time I watched a 3D movie at the age of 12, I was mesmerized by the experience and literally tortured my parents to take me to that movie again and again. I was so much interested in 3D movies that I had to watch them alone as I grew up because my friends deemed such movies as fit for kids alone. I do blame my choice of movies though, as these movies were targeted at kids. But for me, it was the experience rather than the story, I would eagerly wait for those moments where I get to feel the objects closer to me, and a couple of occasions I have even chosen the front seats to check whether the experience doubles up (forgive my naivety). I loved the experience, and I am sure many would agree with me. Today, as a Learning and Development professional, I believe that learner experience plays a vital role in making our learning programs effective. 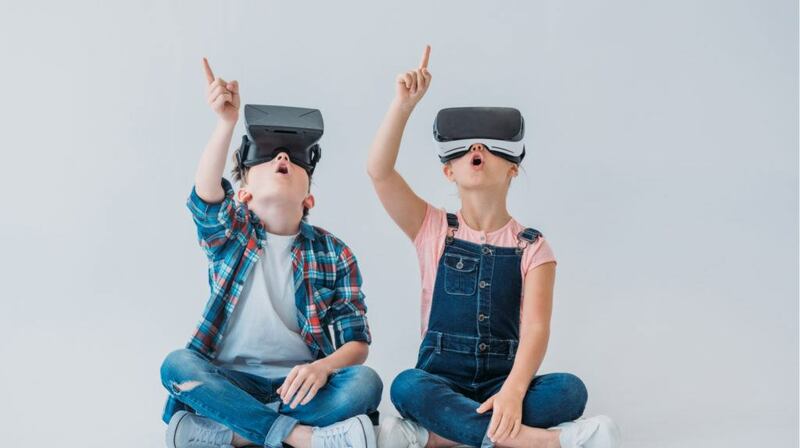 And with the advent of new technologies like Virtual Reality (VR) and Augmented Reality (AR), we have the technology at our disposal to take the learning experience to such heights which we once dreamed of. There is so much buzz about the need for learning initiatives to be relevant to the learner today that it has outstretched the demand for ‘Just in Time’ learning. Imagine a learning system that is void of actual learning courses and just answers the questions of the learners in real time like a coach would do. For easy visualization, let me suggest you recall what JARVIS does in the movie ‘Ironman’ or what FRIDAY does in the movie Captain America-Civil war. Especially the scene in Captain America-Civil War, in which FRIDAY analyses Captain’s fighting style and provides countermeasures to Ironman in real time. Such a learning system would be a dream come true not only to learning managers but to parents of so many kids in schools and colleges. This dream may come true with conversational AI platforms. Conversational AI platforms use speech synthesis, speech recognition, multi-faceted machine learning, neural networks, and natural language understanding to deliver multi-turn conversations between the AI assistant and the learner to achieve this dream. What's more, such AI platforms will keep learning from the conversations of the learners and would recognize the pattern of the learner to advise better or, in the worst case scenario, guide them towards the right learning resource. As suggested in the Gartner’s hype cycle, this technology has a long way to go (up to 10 years) to reach maturity. As learning leaders, we should think of equipping ourselves to embrace this technology as this would revolutionize the learning technology domain. As the research continues and more players populate this field, the methodologies to apply this technology in learning environments will also increase. For example, Instructional Designers would still play a vital role in defining the learning content but their approach would have evolved to suit the needs of these technological advancements. Do you own a car with a parking assistant embedded in it? Or have you traveled in a car with such a feature? Then you have already experienced Augmented Reality because the car parking assistants use Augmented Reality in order to map digital imagery with the real world. Alternatively, have you ever played the Pokémon Go game? In fact, this game proved to be a great source of introduction to the Augmented Reality technology to the masses as very few had hands-on experience with technology before the launch of the game. If you haven’t experienced Augmented Reality yet, just download this game, and try it for once. Augmented Reality overlays digital information on the physical world. It allows the user to witness the real world, with virtual objects superimposed, hence supplementing the real world. In other words, the information provided by Augmented Reality is added to our perception of the real world. Now, let me quickly jump to the relevance of this technology to Learning and Development. AR entails a revolution in the presentation of information and cultivation of knowledge. AR can be used merely to present information, update knowledge or teach a skill. For instance, when a smartphone is focused on a piece of large equipment, the AR application adds some information to the view of the edifice. On one side, it can display the name and specifications of the equipment, and on the other side, it can display text or video about the application of the machine. In this case, AR is just another medium to provide information, and the learner has to internalize the learning to convert it into knowledge. In another instance, when the smartphone is mounted on a headband and pointed towards the equipment, the learner can interact with the various controls of the equipment by touching the superimposed imagery on them, and the response of the equipment can be shown by superimposing the real world scene with a video. In this case, through repeated actions of trial and error, the learner adds the operation of the equipment to his skill inventory. This could be a game changer for the production industry, especially with the advent of Industry 4.0. I am sure everyone has experienced VR at least once in your lifetime. VR uses digital environments to fully immerse users in a virtual world so that they cannot see the real world around them. It uses specifically designed headgears with or without audio support. For those who wonder why Virtual Reality (VR) is not in the list, let me inform you that VR is no more an emerging technology and is part of a matured technology category. But, it plays a vital role in Mixed Reality. We earlier mentioned that AR offers an extension to our perception of the real world, and VR is all about a virtual world. What if we harness the potential of both these technologies at the same instance? This is where Mixed Reality (MR) comes into play which blends the physical and digital worlds in which users may interact with digital and real-world objects while maintaining a presence in the physical world. I couldn’t find a better example than the movie Avatar, especially the scene in which we are shown a map what seems to be an augmented version of the Na’vi’s tree and the region surrounding it. The general interacts with the environment by touching the tree, zooming inside the tree etc. Right now, that is not what exactly is available at our disposal but a similar experience can be created with the help of some sensory devices. For instance, imagine I wear an MR headgear and point it at large equipment which has various interactive controls on all 4 sides. I will be presented with an immersive virtual world superimposed on the real world and with a slight movement of my head, I will be able to access the other side of the equipment if I need to interact with those controls, without actually moving to the other side of the equipment. So I do not have to physically move to the other side of the equipment but still be exposed to it and will be able to interact with the various superimposed imagery on that side of the equipment. What if the same concept is scaled to the whole plant that spreads across acres? I would be able to train my staff easily with fewer resources and in a short span of time. All I have to do is evolve my Instructional Design to complement this technology. There are other technologies that will impact the learning domain like Artificial General Intelligence (which is in the far future) and Virtual Assistants (already in existence), and there will be many more coming up as humans evolve. But the concept of information, knowledge transfer and upskilling will remain the same, and these concepts will adapt to use these technological advancements to the best use. As a Learning and Development professional, I wish more and more disruptive technologies get adopted by us in order to challenge ourselves and keep us resourceful.